So you’ve decided you want to dance! Now that you’ve made the decision to learn, the next step is to find a studio that can provide you with the right classes and a good atmosphere. 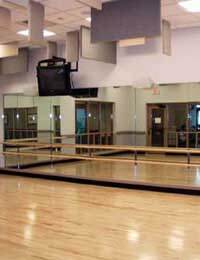 The idea of choosing a studio may seem daunting, but there are several ways to go about finding a place that will nurture your interest in dance. There are many questions you’ll want to ask yourself as you embark on your search for the right dance studio. Start by asking how often you want to go to classes. This is a useful place to start because the frequency with which you plan to visit your studio will determine how close geographically it should be to where you live. For example, if you only plan to take a class once every couple of weeks, you might not mind having to travel a bit to get there. However, if you’re planning to attend several times a week, you’ll want a studio that is easily accessible to you. Obviously, you can choose to travel further if the studio you prefer is at a greater distance, but be mindful that if you have to leave home an hour before a class starts, you won’t have the luxury of deciding to attend or skip a class at the last minute; you’ll have to plan ahead. Whether you use the phone book, talk to friends, or search the internet, get a sense of how many studios are in your area and whether they specialise in a particular kind of dance. If you live in or near a city, you will have a range of choices so you’ll need to have a more specific idea of the kind of studio experience you want to have. Your choices may be more limited if you live in a suburban or rural neighbourhood, so try to be more flexible and look for a studio which offers you most of what you are looking for. Visiting a studio is important, and taking a class while you are there is even better. This way, you will not only get a sense of the atmosphere, but of the students and staff as well. Ring up ahead of time to inquire about class schedules and don’t be afraid to ask for recommendations if you are unsure about which classes to try. When you visit a studio, ask to see a full list of the classes offered. If you’re hoping to become, say, a tap dancer, and the studio seems to offer mostly ballroom classes, you may want to continue your search. Equally, you should not rule out a studio if there are classes on the schedule which don’t appeal to you. A studio that offers a wide variety of classes might prove useful in the future if you decide to try something new! Also, a broader spectrum of classes means a greater variety of people to meet and learn from. For the dedicated dancer, your studio can become a second home, so part of choosing one means carefully examining your needs and goals. At larger studios, there is often a walk-in policy, and while memberships are available, the students attending a given class will often change from week to week. At smaller studios, or studios which require registration for classes, the pool of students stays more constant. Also, there are studios which form competition and performance groups, or provide audition opportunities for students, and others which do not. Think about whether you prefer the excitement of a large, bustling studio, or the more intimate setting of a small one. Do you want to compete and audition as you advance? Or would you prefer to focus only on classes? Once you’ve worked out your priorities as a dancer and a student, it will be all the more simple to choose a studio that shares those priorities. As dancers, we all want a place where we can feel comfortable and encouraged. Your studio should provide a sense of ease, a set of challenges, and a group of people you can learn and grow alongside. Finding a studio that fits your interests and needs will ensure that you have all the support you need as you begin to test your limits. Hello. I would like to start my daughter into dance and performing arts. If you could get back to me with some more information that would be great. She is 7 years old and has started to have a huge interest in this. Thanks Emma.